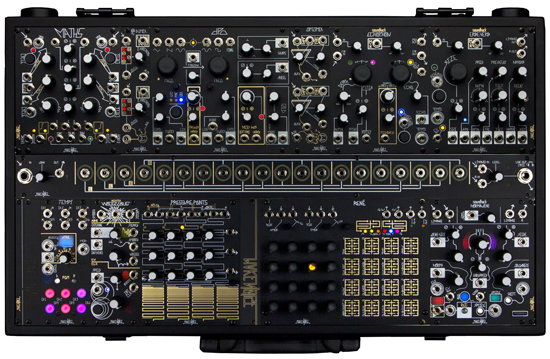 Asheville, N.C.-based inventor Tony Rolando founded Make Noise in 2008 to develop and sell analog synthesizer modules. The company has thrived and grown and moved into development of complete modular systems. Make Noise celebrated its 10th anniversary with a wide array of events, including panel discussions, dance parties, hands-on exhibits and a concert showcase at the Diana Wortham Theatre in Asheville on Friday, June 15. 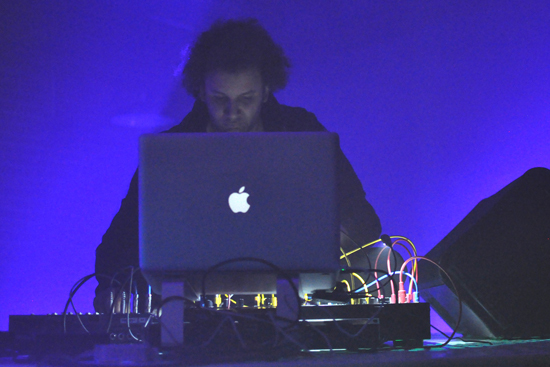 Innovative, groundbreaking experimental musical artists like Tyondai Braxton are among those deeply immersed in the world of modular synthesis; Braxton was one of the featured performers at Make Noise’s 10th-anniversary showcase concert. The co-founder of art-rock group Battles, Braxton’s compositions include HIVE1 from 2015, a work that premiered at the Guggenheim Museum in New York. Speer says that the celebration’s musically diverse lineup focused on “artists who we’re excited about. And the work to which we at Make Noise tend to be drawn is all over the map in terms of style; it’s more about intent.” Other performers at the Diana Wortham Theatre show included Robert Aiki Aubrey Lowe (known for his spontaneous arrangements of modular synthesis and voice); Los Angeles-based Bana Haffar, creator of shimmering analog compositions; Meg Mulhearn (an Asheville-based songwriter who also composes for film) and thump/techno innovator Moe Espinosa in his guise as Hypox1a. The Make Noise celebration weekend extended well beyond that showcase. On Saturday, Ambrose West hosted four panel discussions, all free and open to the public. Artists from the Friday concert led a discussion on performing and composing with modular synthesizers, and other panels explored related topics, including building community through modular synthesis. Black Mountain College Museum + Arts Center hosted a sonic sculpture by Richard Devin; while at the Asheville Movement Center, an endless loop of films by Sean Patrick Curtis was displayed. In conjunction with the All Go West Festival, Make Noise partnered to host a dance party and concerts at Black Cloud and The Mothlight. Make Noise’s anniversary celebration concludes with a series of modular synthesis performances, a free event billed as Modular on the Spot, and held at French Broad River Park.